ProVallone is a small international guide service owned and operated by UIAGM/IFMGA Licensed Mountain Guide Joe Vallone. Joe specializes in climbing, skiing and alpine mountaineering all while bringing the highest standard of care found in American guides. Joe is truly dedicated to bringing you closer to your dream of climbing, skiing and traveling in some of the most incredible locations in the world. The adventures experienced with Joe will push you into new terrain and teach you new skills to take with you in your everyday pursuits. Reach beyond your limits and challenge yourself with technical skills while enjoying some of the worlds greatest treasures. From beginners to experts, customize the trip or course that is right for you. 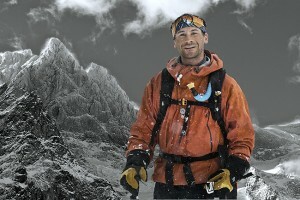 Joe is certified in the rock, alpine, and ski mountaineering disciplines by the American Mountain Guides Association and has achieved full international IFMGA/UIAGM certification.